Search Engine Optimisation, or SEO, is a term that is very popular in internet marketing. So, why should a job seeker need to understand SEO, and why should they care? For years, career experts and professionals have stressed the importance of job seekers building their own online presence. In fact, it is recommended that those who are looking for employment “Google themselves”. This simple action will prove to be both an opportunity and a warning. It will create an opportunity for them to sculpt their online image and control what information is available for others to view. By googling yourself, you will also be able to find out if there is any ‘online dirt’ about you that could eliminate your chances of securing employment. 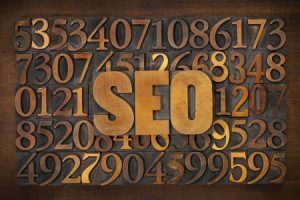 The following SEO tips for job seekers will help recruiters and managers find you online, in their database and other pertinent locations on the web. One of the first things that you should focus on when you are beginning the search for employment is a personal website. You can create a new one if you do not have this type of virtual real estate, and if you already have one, you can tweak it to make sure it is optimised correctly. The website that you create will be the foundation that you will use during the process. This means that you need to ensure that your site is really good. Consider this. What benefit would a highly optimised LinkedIn profile provide if you have a poorly optimised or non-existent personal website? While creating your website, keep in mind to use the same keywords on your website that you would use on your resume or social media profile. Most professionals have a LinkedIn profile, but there are not many profiles on the social media site that are polished for SEO purposes. For example, you may want to replace that avatar picture on your profile with a real professional head shot photo of yourself. You cannot stay anonymous online if you are actively seeking employment. Although the avatar may be appropriate for a gaming website, it is not appropriate for a professional networking site like LinkedIn. The next thing you will need to do is edit the headline you currently have on your profile. Be sure to add keywords that are relevant to the position you are seeking and your current skill level. Avoid using trendy and fun headlines even if they pertain to your current job. It is more common now to use creative headlines. The 21st century has seen an increase in video marketing, tutorials and other content. In fact, YouTube currently has over one billion users, and its user base appears to only be increasing every year. This is good news for those looking for employment. If you create job related videos such as tutorials, create your own YouTube channel and upload them to the channel. Choose YouTube instead of another video sharing platform because Google owns YouTube. You can be certain that your videos will rank well in the search engine. Just as brands continue to change and evolve, so should your personal digital brand. Even after gaining employment, you can continue using these SEO tips to strengthen your personal brand in the future. UI Design – What Is Microcopy, And Is Yours Harming Your Site?